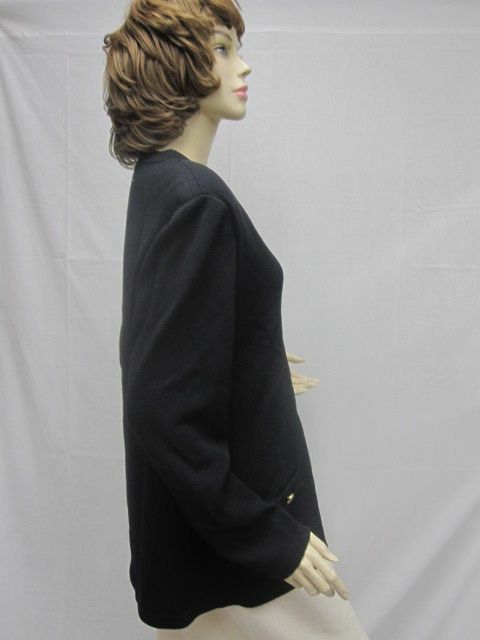 Click the button below to add the St John Knit BASICS Black LOGO Jacket Size 14 to your wish list. 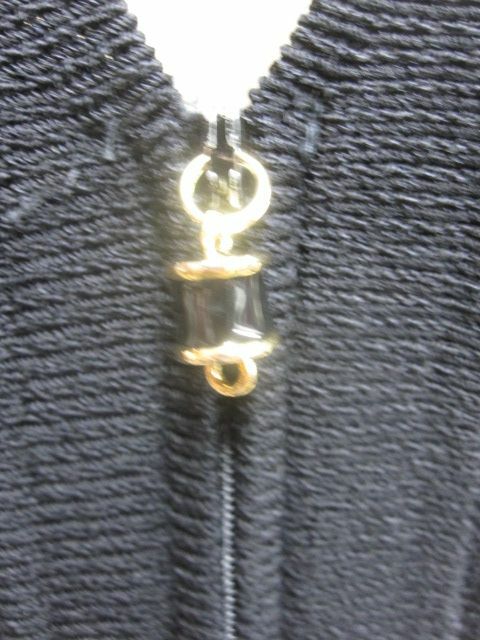 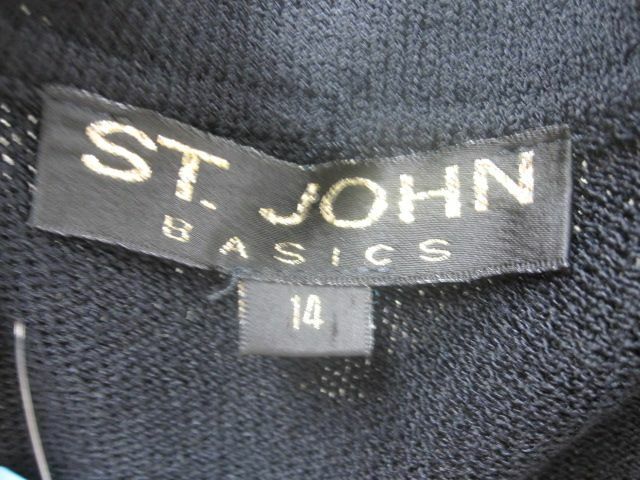 CLASSIC 4 You St John Knit BASICS Black LOGO Jacket Size 14. 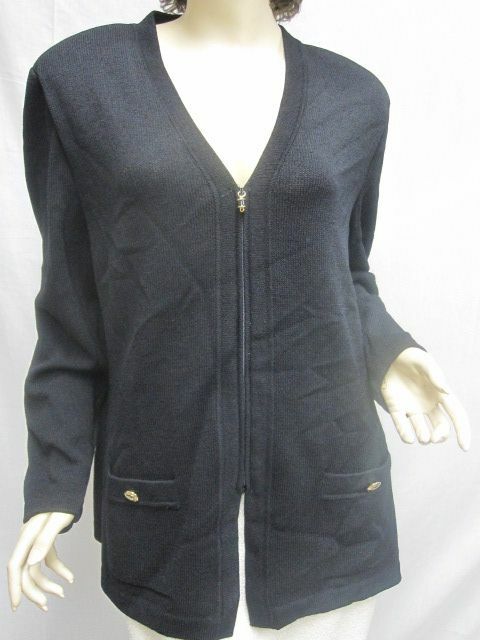 This beauty features a zipper front, pockets in front with logo buttons, and Santana knit. 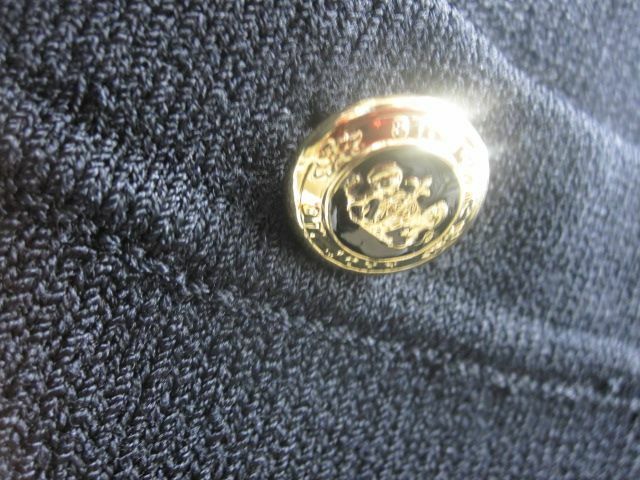 Great with all! 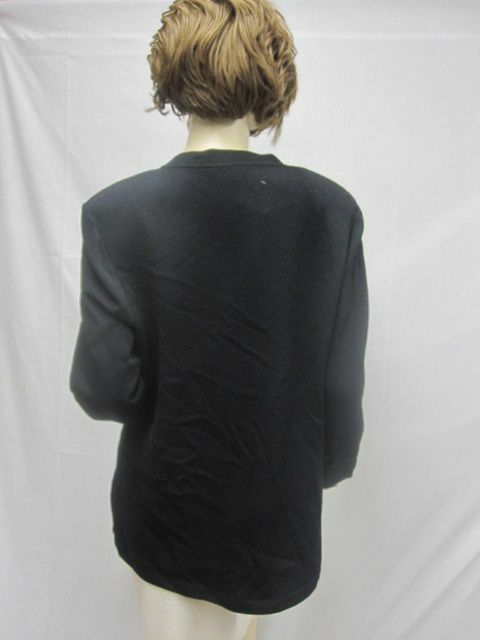 Shoulders: 17 1/2" Bust: 42" Waist: 41" Hips: 46" Length: 28" Sleeve Length: 24 1/2"